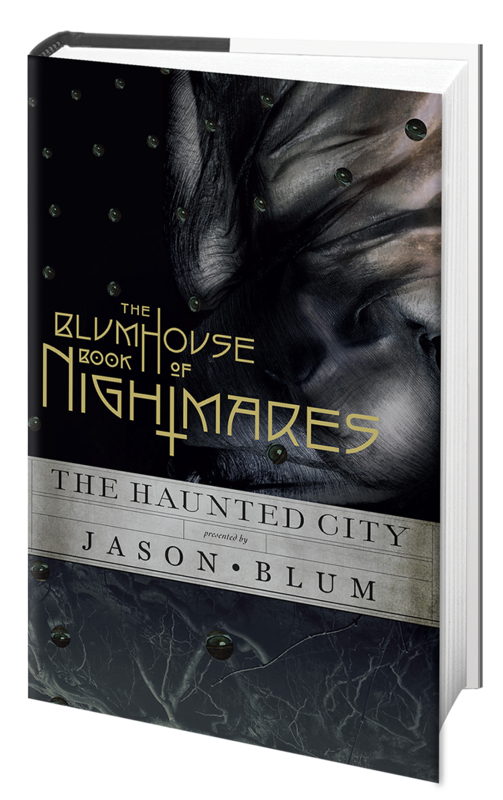 The Book of Nightmares is an anthology of creepy tales revolving around city life. 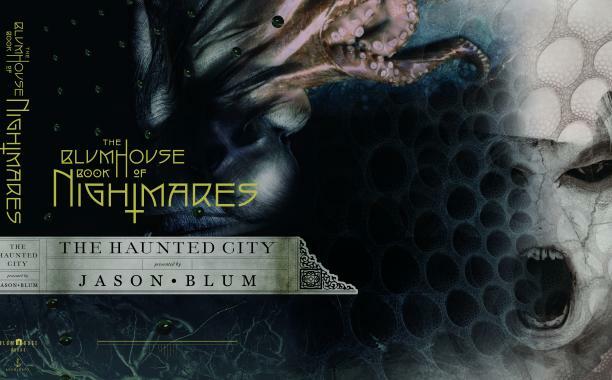 It was compiled by Jason Blum of Blumhouse Productions, which includes in its filmography Paranormal Activity, Insidious, The Lords of Salem, Oculus, Ouija, The Visit, The Green Inferno, and The Lazarus Effect. The authors of the stories are known less for their literary accomplishments than they are for their work in the movie biz; contributors include Les Bohem (writer of A Nightmare on Elm Street 5), C. Robert Cargill (writer of Sinister), James De Monaco (director of the Purge movies), Scott Derrickson (director of The Exorcism of Emily Rose, Sinister, and Deliver Us From Evil), Ethan Hawke (star of Sinister and The Purge), Mark Neveldine (director of The Vatican Tapes), Eli Roth (director of Cabin Fever, Hostel, Hostel 2, and The Green Inferno), Jeremy Slater (writer of The Lazarus Effect), and Scott Stewart (director of Legion and Dark Skies). While some of Blumhouse’s films are a little meh (Ouija, I’m looking in your direction), these stories are without exception fabulous. Usually with a collection of stories, one has to put up with selections of varying strength, but these are all winners. Going with the recent trend in horror of the tragic ending, these stories tend to be dark and creepy—they start in reality and become twisted to a bizarre angle. The stories are also excitingly original; though they contain familiar subjects like ghosts and demons, the ideas are fresh and compelling. For an example, Michael Olson’s “Dreamland,” about a dream-inhabiting creature that infects everyone who encounters it. The story builds in intensity from the wistful opening to the soul-crushing ending. An exploding head isn’t even the most disturbing event. But my favorite is Sarah Langan’s “The Old Jail.” It concerns Grady, a man who is possessed by a mysterious demon. In one scene, his first person narration erodes into second person as the demon takes over telling the story. Most of the characters are suspect because of their outright strange behavior; Grady even encounters a man who is happy to be possessed (he’s a CEO, natch). The story is surreal and chilling. Overall, the book was a dark delight from start to finish. Check it out if you’re in the mood for suburban horror by folks who know what scares you. Author’s note: I owe a thanks to IMDB and the authors’ biography section at the end of the book for filmography information. Lois Kennedy is an avid horror fan who also loves to write. You can find her under her pseudonym GhoulieJoe on YouTube, WordPress, and Facebook.